Stay Safe, and Happy July 4th! After you’ve been in an auto accident, it’s important that you take the right steps to preserve the value of your case. It can mean the difference between winning big and losing big. 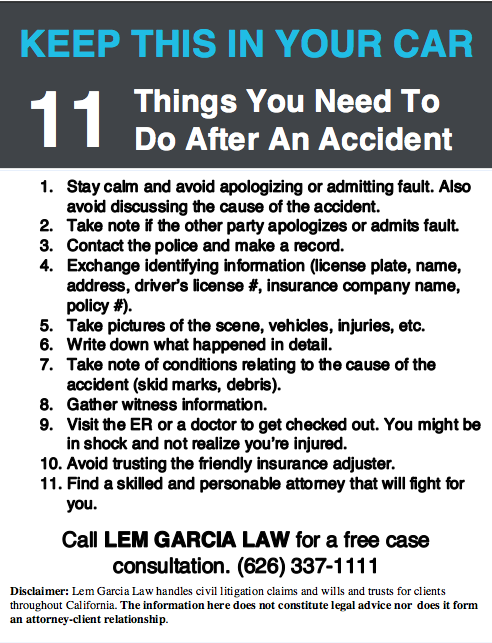 Check out the informational handout that Lem Garcia Law is distributing to people so they know what to do after a car accident. 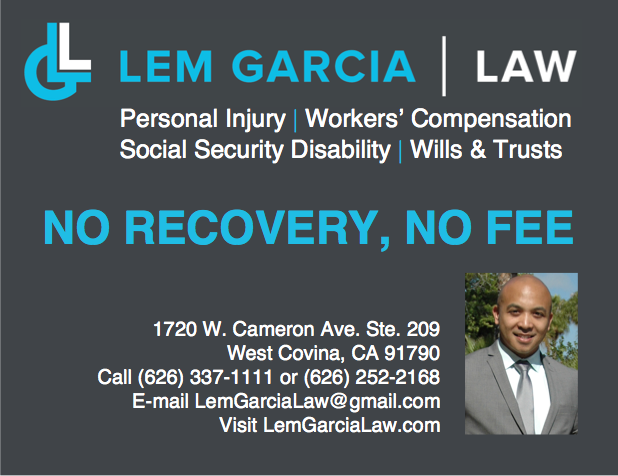 If you would like a copy for yourself, send in a request and West Covina accident lawyer, Lem Garcia, will send one to you for free. Also, here is an article from the California DMV on how to stay safe and drive defensively.